Well, maybe that is not so funny. However, it is what I least expected to get out of my experience on the Camino. So now here I am, two weeks away from being confirmed as a Catholic. How did that happen? Confirmation was never something I felt I needed. In fact, I resented the Catholic church most of my life, and I still have some issues with it. If you recall from a previous post, My Rekindled Faith, our family stopped going to church after my parents’ divorce. I completely lost trust in the church until my mom busted a myth that I held since childhood. I will discuss what I’m doing for the Rites of Christian Initiation for Adults (RCIA) in another post. For now, I just want to reassure my blog readers that I did not join a cult and nobody persuaded me to be “saved.” I was not preached to by any pilgrims, and I will not preach to anyone else. I just followed my vibe and realized that now is the right time, and my local parish is the right place. A year ago I would have never thought I would be blogging about God, but this is part of my Camino. Now I see that the Camino really does provide, in more ways than I ever imagined. 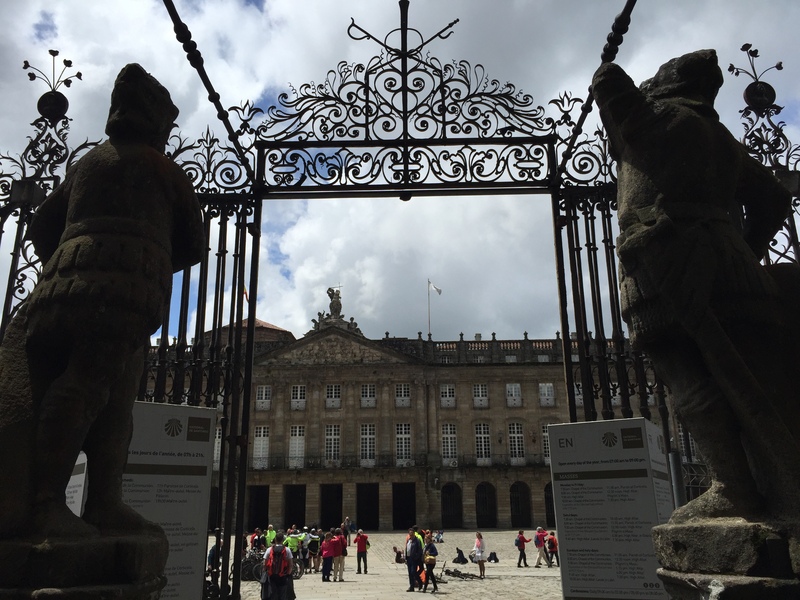 Looking back, it is now clear that the Camino was God’s way of luring me back to religion. My motivations to do the Camino were more about the appeal of taking a long walk in Spain, my favorite country in Europe. Of course, it also allowed me to recapture some of that wanderlust that was sparked after college on an epic backpacking trip around Europe with three friends. Over the last twenty years, my husband and I have enjoyed many other types of travel not involving backpacks and bunk beds. Fast forward to 2014, when I got wind of the Camino, I was suddenly thinking, “How did I not know about this before? 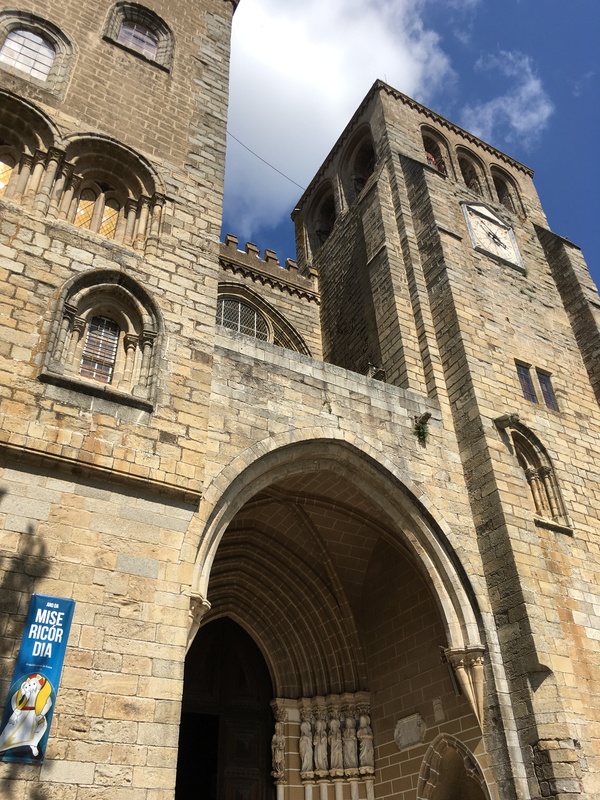 !”, “Free wine for pilgrims?”, “Where do I sign up?”, and finally, “I can’t wait another three years!” Hence, my short Camino last year and this year, both of which offer a quick fix until I can do the 500-mile Camino Francés. Milestone birthdays are a thing on the Camino, and I cannot think of a better way to celebrate! In 2015, I dove deep into the world of pilgrims by writing a research paper on the Camino, training and testing gear, attending Bay Area pilgrim activities, and talking to many pilgrims. Creating this blog was a way for me to document all of this while writing about my journey. Little did I know back then that the Camino would completely change me, for the better. I was a tough nut to crack. In my previous travels around Europe, I usually would get cathedral fatigue by seeing all the grandiose Gothic and Romanesque architecture, along with the ornate décor inside. It seemed so overwhelming that I often felt claustrophobic. These feelings often changed to disgust when I thought about how the conquistadors obtained all that silver and gold from the Americas. This time around on my Camino, I appreciated churches as a quiet place to pray, rest, and contemplate. I could look beyond the imposing stone statues of saints and gilded gates. I found peace within those walls and myself. A comforting home away from home. In my opinion, the Catholic Church has come a long way, especially with Pope Francis. In Portugal and Spain, the Year of Mercy theme was often displayed on banners churches. 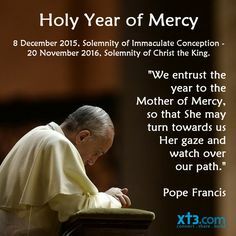 The fact that Pope Francis declared 2016 as a jubilee year of mercy made my Camino especially meaningful. It suddenly became very important for me to get to the final destination, the Cathedral in Santiago. In fact, I skipped a day, so I could arrive on a Friday to attend the evening pilgrim mass. There, I felt a welcoming sense of being at home, even though I was 5,000 miles away. Pilgrims from all over the world were there to celebrate the end of their journey, alongside the locals. 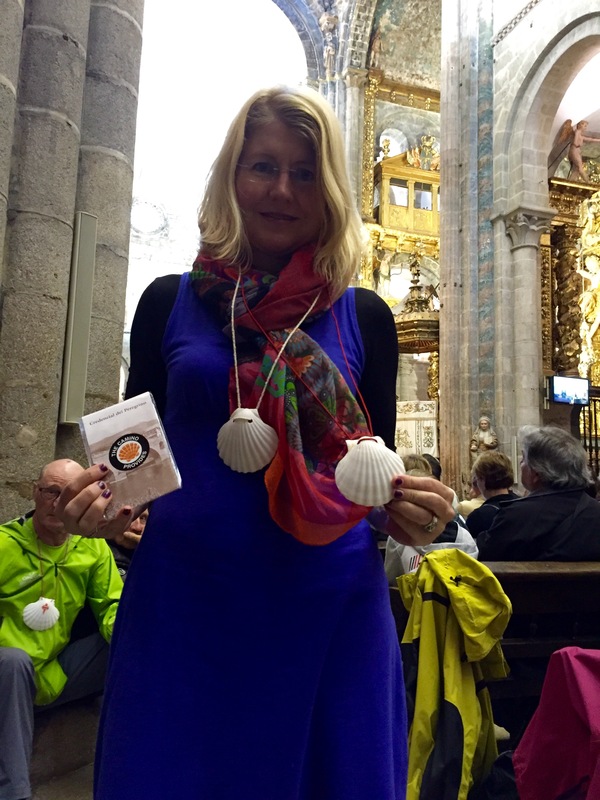 On my Camino, I carried an extra shell and I said a lot of prayers for someone I know. I walked through those holy doors with the hopes that God will provide mercy. I will carry the shell again on my next Camino, and will continue to carry the spirit of mercy. “Even if the Holy Door closes, the true door of mercy, which is the heart of Christ, always remains open for us,” Francis said. In my next post, I’ll share more highlights of the Cathedral in Santiago, including the holy doors, botafumeiro, relics of St. James, and the rooftop tour. Buen Camino, and God bless! 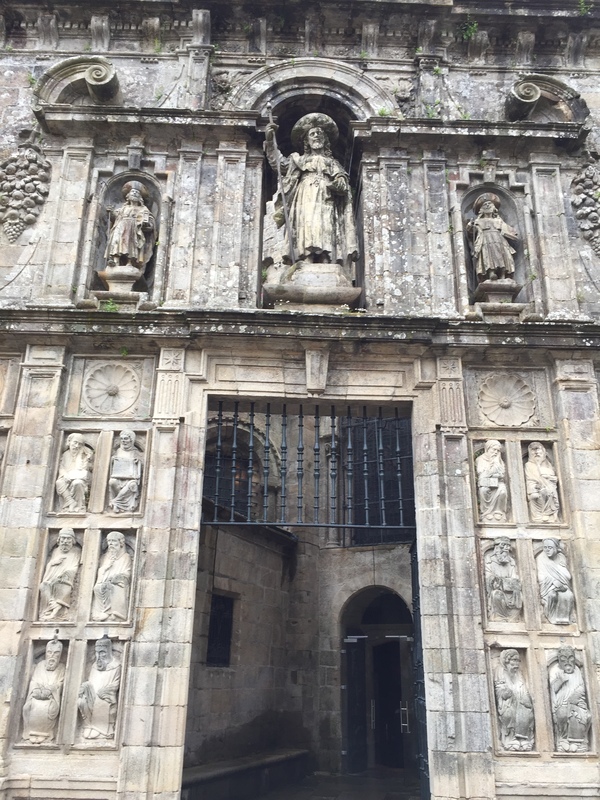 Dana and I arrived in Santiago last November 30 minutes before they closed the Holy Door. Even though I’m not Catholic it was a special thing for us. 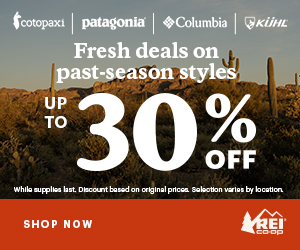 I celebrated 50 years on my first Camino Frances. In retrospect, there’s no other place on the planet where I would’ve preferred to consider and think through all the years of my life. There are some experiences that allow an intensity we all need from time to time. The camino experience is one. Steve, That’s amazing that you got through the holy doors before closing! I’ll be following in your footsteps on the Frances next year for my 50th year! Laurie, your story has moved me to tears. I returned – albeit reluctantly, very reluctantly – to church in 1990. Who would ever imagine things like me becoming a Catholic writer? Me getting an MA in Theology and Pastoral Studies? Me working at a church? And me walking the Camino, something I dreamed of since 1992, when a priest first told me about it. Thanks for sharing your story. 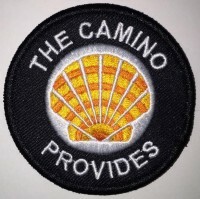 Your Camino Provides patch on my pack made a world of difference to me. We are all meant to be one. You help gather us all, what a gift.